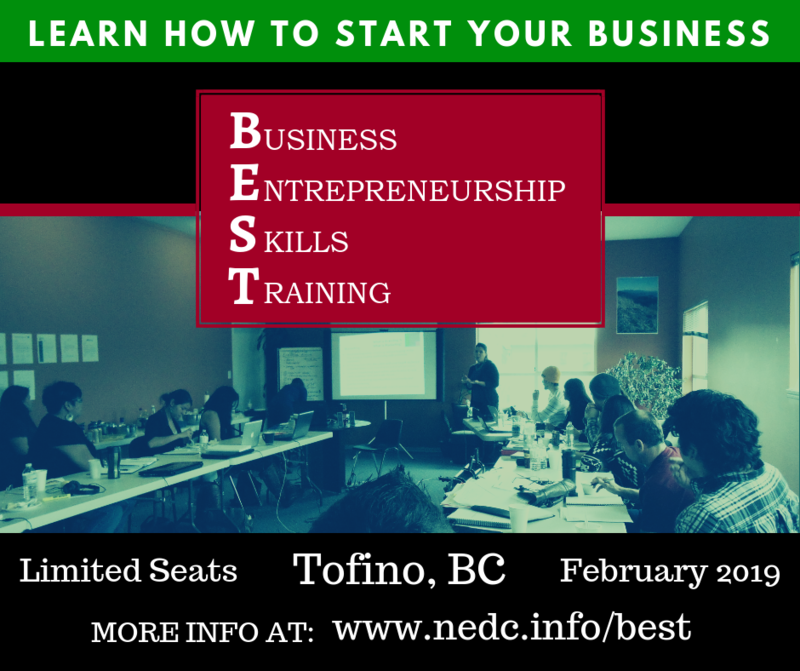 Please note there are only 5 more spots available for entrepreneur training in Tofino. The training is free, it goes for 10 days over 4 weeks is at the legion bldg in Tofino. Lunch is provided! See attached for more info in how to attend.